If you're not afraid of a sore muscle or two why ride to the river in a van when you could be flying along the White Rim Trail on a bike. Join us on one of the best multi-sport active adventure trips available, the White Rim Trail and Cataract Canyon combination trip! Sixty-five miles from mesa top to river bottom will show you the ride that has become the standard against which all others are judged. 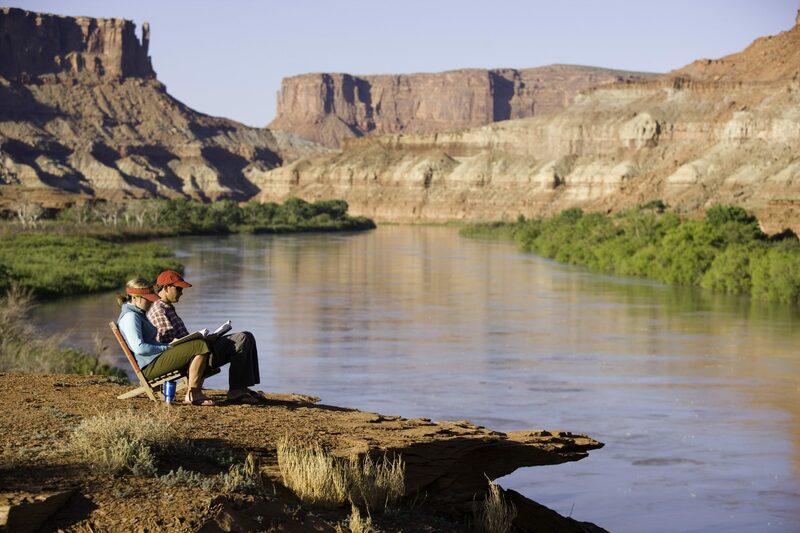 After three days of following the White Rim trail and its meandering course of the Green and Colorado rivers, the white sandstone bench descends to the river bottom, and your whitewater journey begins. 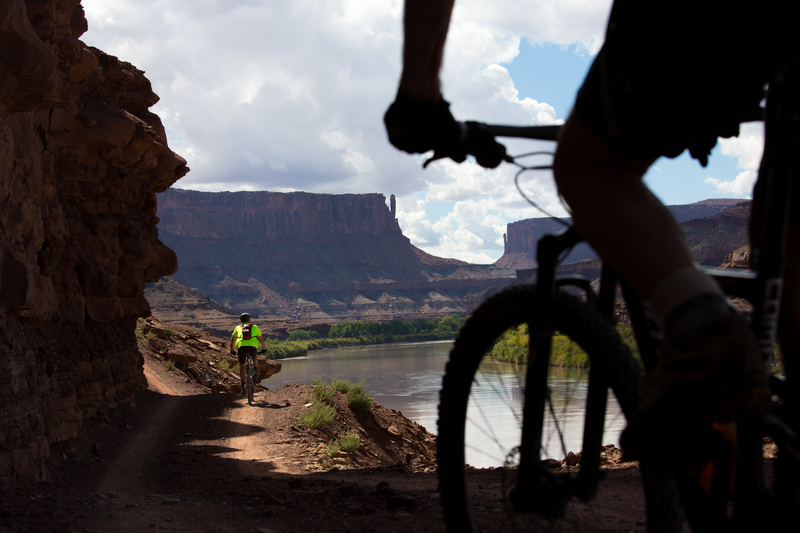 This bike and rafting trip through the Canyonlands National Park will be one you'll never forget! Cataract Canyon is an anomaly. 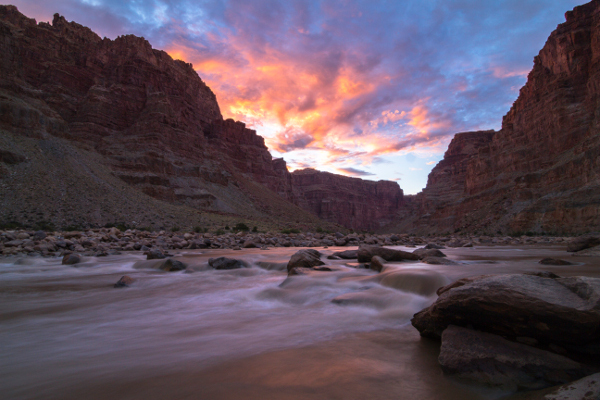 Its Rapids rank along with those of the Grand Canyon in power and difficulty. Cataract also contains mile after mile of rafting through canyons where you are awe struck, not at whitewater, but the deep multicolored canyons of this section of Canyonlands National Park. 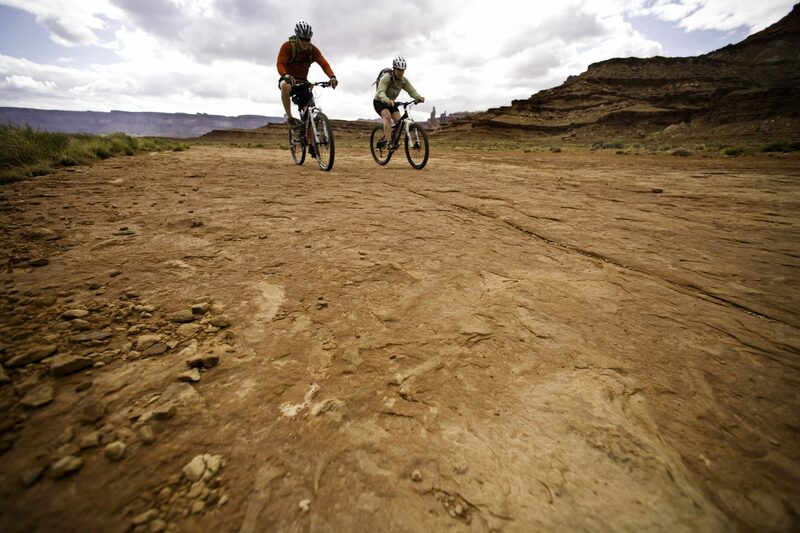 Biking and rafting will be your primary means for travel through this national park, side canyon hikes to ruins and petroglyphs will delight you as you head toward the Confluence of the Colorado and the Green Rivers. 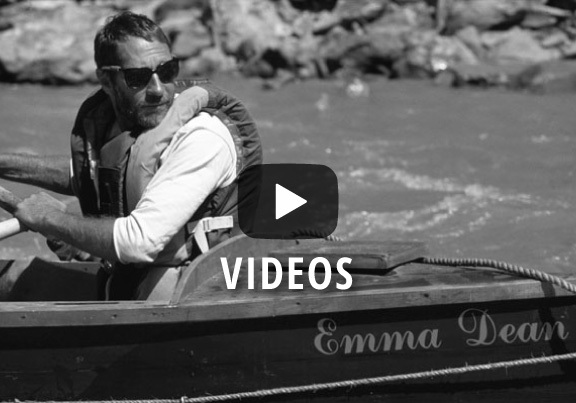 Once you reach the Confluence, the Colorado's behemoth rapids emerge. Rapids 15 through 23 comprise Mile Long and The Big Drops, a fall of 80 feet in less than four miles--one of the Colorado's steepest descents. 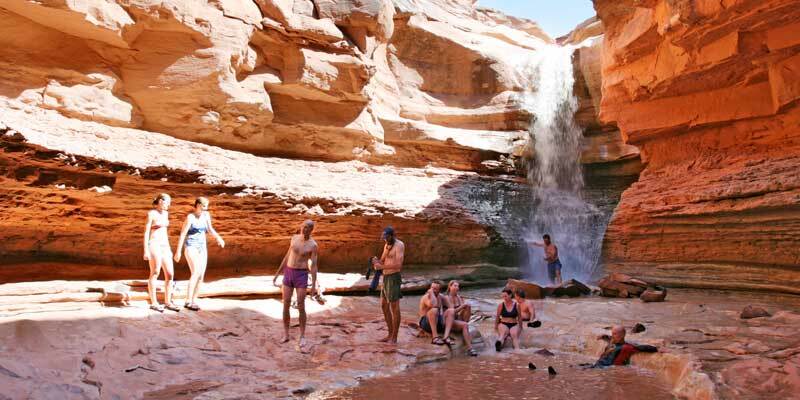 Select 2019 Spring trips listed on "Great Deals"
These White Rim Trail and Cataract Canyon trips carves their routes around the ‘island in the sky’ between the Green and Colorado Rivers. 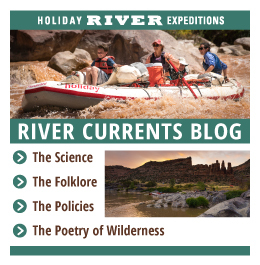 These trips will start on the Green River side of the drainage and meander through Stillwater canyon to converge at the confluence of the mighty Colorado. Cataract Canyon runs through the heart of Canyonlands National Park. After all the rapids you can handle the river enters Glen Canyon National Rec. area where we take out below the confluence of the Dirty Devil. Day 1: Meet group at headquarters in Green River, Utah at 7:00 a.m. Before leaving our headquarters, each guest along with a Holiday guide will perform a pre-trip inspection of your bikes. If you are providing your own bike, please make sure that it is in good repair, we recommend a complete service by a professional shop prior to the trip. Guests with bikes that fail our inspection will be asked to rent a Holiday bike for $170.00/person. Day 2: Our ride will take us over undulating roads past the white, sandstone-capped monoliths of Monument and Twin basins. Then in the afternoon we will head up to Murphy's Hogback, one of this trip’s challenging uphill stretches. After conquering the hill we will set camp for the night. Day 3: By the morning of this day the trail has turned back north and will follow the contours of the Green River. We ride around the labyrinths of Soda Springs Basin and by Candlestick Tower before reaching the rafts at either Labyrinth or Taylor Canyon (May), or Beaver Bottom (September). Day 6: Possible early morning hike into the Dollhouse. Ascend steeply to the canyon rim in the Maze District with red rock formations. After descending to the river, the rapids of Cataract Canyon await. The climax: Big Drop Rapids with Little Niagara and Satan's Gut. Day 7: Begin the journey through majestic Glen Canyon and the former high-water mark for “Lake” Powell. Aided by motorboat “Hayduke” during higher lake levels, you’ll finish the trip at Hite Take-out. A two-hour drive brings you back to Green River. We will disembark at Hite, Utah. Our expected time of arrival back at headquarters is 5 - 6 PM, putting your bike and rafting trip through the Canyonlands National Park at an end! ***The Bicycling: The White Rim bike trip follows an 86-mile route along the perimeter of the Island in the Sky district in Canyonlands National Park. Much of the route is gentle, hard-packed doubletrack; although there are a few significant climbs, steep downhills, and areas of loose rock and sand, most technically challenging sections are short and can be easily walked. Your endurance is rewarded with endless stunning views, unique rock formations, and incredible cultural sites. Riders with no off-road bicycling experience, or who are not athletic, will most likely find this trip challenging. All riders should prepare for the trip by riding their bike on a regular basis prior to the trip. Lauren Wood, second time I booked through her she is great to work with! The longest Holiday bike leg ever (32ish miles with both Hard Scrabble and Murphy's Hogback climbs included) was difficult on some of our group who expected 20ish mile days. A lot of the group question why it happened (doing the White Rim in reverse to accommodate the jet boat clients??). The long day resulted in some members of our party openly complaining about the trip (unjustly in my opinion). Rocky did a very very good job of handling the issue so that the concerned individuals 'calmed down'. To do so Rocky had to show/do some serious PR skills; he deserves a lot of credit for how he handled it! Eriks's nighttime bocce ball set was great fun! The guides were outstanding (Sam, Rocky, Julian). All were very professional, attentive to our needs, very friendly, and they worked their tails off the entire time, from sun up to long past dark. Thank you for the great trip. We appreciate Holiday's hospitality and warm welcome! Great trip! Guides (Ben and Rocky) were professional and enthusiastic. Good food and plenty of it. No complaints!